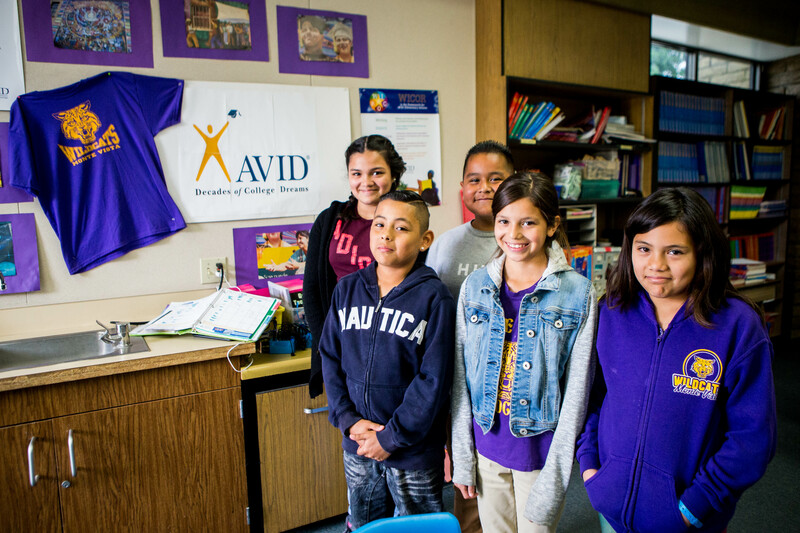 South Whittier’s Monte Vista Elementary School is the District’s first elementary school to incorporate the learning strategies of one of the country’s foremost college-readiness programs – Advancement Via Individual Determination (AVID). This is the second year Monte Vista, a fourth- through sixth-grade elementary school, has incorporated AVID strategies such as notetaking and organizational skills into its curriculum. South Whittier’s McKibben Elementary School has developed and refined a pair of achievement programs that engage students with hands-on projects and individually targeted lesson plans to prepare them for tackling educational challenges on their road to high school, college and beyond. McKibben bolsters student success through its High Achievers enrichment program for fourth- through sixth-grade students and offers intervention and support services for K-6 students and English learners through its Target for Success program. 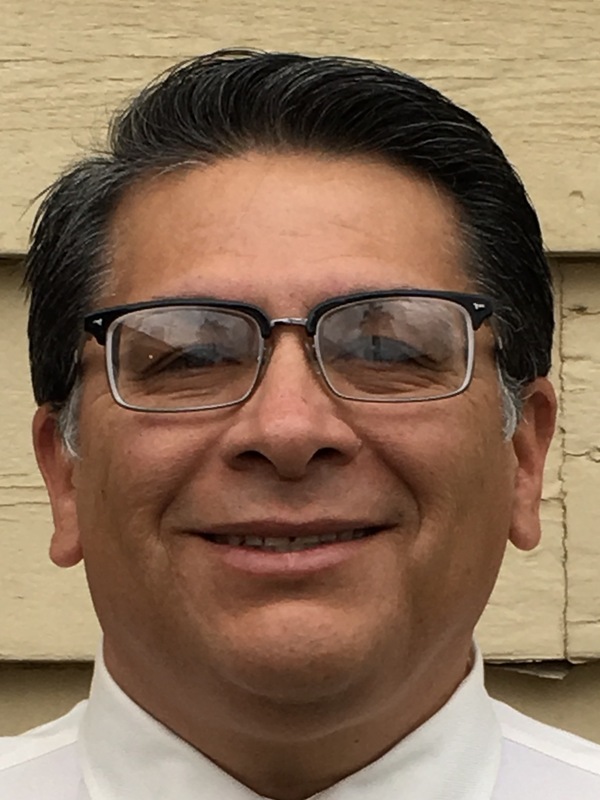 The South Whittier School District Board of Education on May 16 selected Dr. Gary Gonzales, a 30-year educator and longtime administrator at the Alhambra Unified School District, to helm the District as its next executive leader. He makes history as South Whittier’s first Latino superintendent. The selection follows an extensive search by consultant Leadership Associates, an online survey garnering input from District stakeholders, several discussions by the Board of Education on the characteristics, skills and qualities desired in a superintendent, and interviews with highly qualified candidates. Gonzales will assume his new role July 1. Gonzales will succeed Superintendent Gail Baxter, who will retire in June after 27 years as an educator and administrator in the District. South Whittier School District operates five elementary schools, one 4-6 school and one middle school. The District holds students and staff to rigorous standards to prepare every scholar for 21st century success. South Whittier's Lake Marie Elementary School students will walk, jog and run their way toward a healthier lifestyle while raising funds for technology during the second annual “Color Me Fun Run" from 12:15 to 1:45 p.m. Friday, April 21. The color run will feature transitional kindergarten (TK) through sixth-grade students running through obstacle courses while being splashed with every color of the rainbow by parents and teachers for each lap they complete. Organizers hope to raise $10,000 for new technology from the community fitness fundraiser. The color run will immediately follow the school’s “Lunch with a Loved One” family picnic, where families are invited to bring lunch, a blanket and a book to embrace literacy. Lake Marie is at 10001 Carmenita Road, Whittier. Follow-up Story: Sixth-graders from South Whittier School District attended class off the coast of the Pacific Ocean as part of a week-long Malibu Outdoor Science School. From March 20-24, students learned about three ecosystems with the natural environment acting as teacher. Operated by the Los Angeles County Office of Education, the outdoor school focused on state science standards, while exposing students to hands-on experiments and real-life lessons. Three South Whittier School District schools will hold color runs in April to raise funds for programs and promote community camaraderie. McKibben Elementary School, 10550 Mills Ave., will hold its “Color Me Bully-Free” event from 3 to 5 p.m. Friday, April 7. Loma Vista Elementary School, 13463 Meyer Road, will hold its event on Monday, April 10, with kindergarteners and first-graders kicking off the event at 12:30 p.m., followed by second- and third-graders running at 12:45 p.m. and fourth- through sixth-graders running at 1 p.m. Lake Marie Elementary School, 10001 Carmenita Road, will hold its event on Friday, April 21. The state has launched a field test of its new accountability system, the California School Dashboard, which evaluates district, school and student performances on a variety of measures, including test scores, English learner progress and parent engagement. Released on Wednesday, March 15, the Dashboard replaces the Academic Performance Index (API), an accountability system that relied almost entirely on standardized tests and gave schools a single score. It was suspended three years ago. Follow-up Story: Ten South Whittier School District students and six shelter dogs from the Society for the Prevention of Cruelty to Animals Los Angeles (spcaLA) spent the last four weeks growing a bond – one that challenged each in different ways, but resulted in a serendipitous ending for both. The Graves Middle School eighth-graders and shelter dogs graduated from spcaLA’s Teaching Love & Compassion training program on March 9, when the student trainers demonstrated tricks they taught the pups after hours of hard work and determination. This is the first year South Whittier School District participated in the hands-on dog training program, an effort designed to teach selected students leadership skills, self-motivation and self-determination. Follow-up Story: Monte Vista Elementary School was transformed into a colonial-era community on Feb. 24 as teachers dressed in period clothing, students churned butter and made candles, and farm animals took over the campus to demonstrate the life of an early English settler. The all-day event was part of a hands-on, interactive “living history” lesson for fourth-, fifth- and sixth-graders in the South Whittier school who are studying the American Revolution. Photos are available. 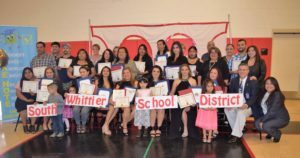 Follow-up Story: More than 40 South Whittier School District parents who have been involved in the District’s Parent Education Program since the start of the school year were celebrated March 9 during a graduation ceremony – a first for many of the Spanish-speaking parents. The Parent Education Program is run in conjunction with Take Note Institute, a Whittier-based coaching and leadership consulting agency that focuses on biliteracy and teaching parents to support their children’s learning through workshops and other engagement opportunities. Parents were awarded for perfect attendance, completion of and participation in the program during the festive ceremony held at Graves Middle School. In partnership with Spiritt Family Services, South Whittier School District is providing families with free counseling services on a weekly basis for eight weeks. Spiritt delivers family-focused education, case management, support and counseling services. The final day of service will run from 8:45 to 11:15 a.m. Wednesday, March 8 at the South Whittier School District Office Professional Development Center, 11200 Telechron Ave., Whittier. For more information or to enroll for the next session, call Daisy Rios at 562-903-7000. South Whittier School District is seeking input from parents, students, teachers, staff and community stakeholders on the Board of Education’s selection of a new superintendents. Participants are invited to submit their views on a survey at www.surveymonkey.com/r/BFSMPPW through Friday, March 3. The survey is available in Spanish at es.surveymonkey.com/r/B3VB36D. The information will be used to develop a profile of the professional experiences, leadership and personal characteristics the community would like to see in the District’s next superintendent. The survey also asks questions on district strengths, challenges and community values. Kristine Carreon, South Whittier School District’s newest principal, is working to integrate new technology into classroom instruction at Loma Vista Elementary School. Carreon comes to Loma Vista Elementary following an 18-year career at Wild Rose Elementary School in Monrovia Unified School District. There, she coordinated bilingual parent engagement programs and a schoolwide intervention program called Power Hour, which earned a 2016 California Gold Ribbon Award from the California Department of Education. 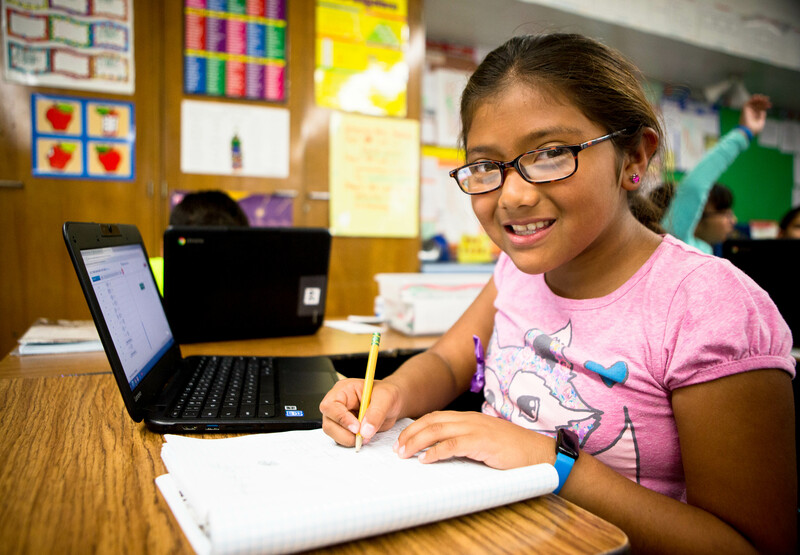 In addition to creating greater intervention programs for Loma Vista students, Carreon aims to bring dynamic, technology-driven classroom instruction and is working to acquire the necessary tools to jumpstart the program.